At TSO Missouri City our eye care professionals specialize in understanding how the human eye really works, as well as diseases and conditions that affect your vision—many of which do not always have obvious symptoms. Eye doctors know how age and risk factors affect vision over time for young and old, and they understand the benefits and features of corrective lenses, both as eyeglass lenses and contact lenses. 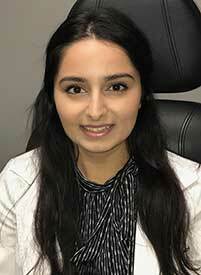 Dr. Rita Shah holds a bachelor degree from the University of Texas at Austin. She continued her post-graduate studies and received her optometry degree in 2003 from the University of Houston College of Optometry. She has been practicing in the Ft. Bend community for over 5 years. 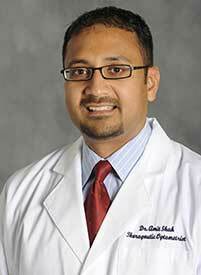 Dr. Shah is a therapeutic licensed optometrist and is experienced in treating most eye infections. 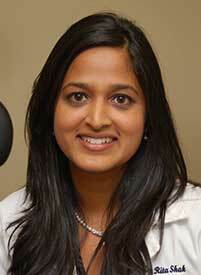 She has special interest in pediatric eye care as well as fitting contact lenses. Throughout her eye care profession, she has traveled to many underprivileged areas in Honduras to perform vision screenings to those who could not afford it. Dr. Shah is very happy to be practicing in her hometown. Currently, she resides in Sugar Land with her wonderful husband. She enjoys spending her free time with her husband and enjoys international traveling. Her interests also include playing tennis, aerobic exercise, kickboxing and cooking.